PLEX has been a constant topic for debate since CCP introduced them. Prices have steadily increased from 300 mil ISK to currently 730 mil ISK per PLEX, CSM member Mynnna recently wrote an article on TMC about the ‘Great PLEX bubble’. During his Fanfest presentation CCP DrEyjoG shared some interesting facts about PLEX in EVE while referring to the RL equivalent – gold. Unfortunately I lost my market database including a few years of history so check out CSM Steve Ronuken’s excellent variant for more background information. In 2013 EVE had deflation, 2014 so far shows inflation but only marginally. CCP also includes PLEX in the Consumer Price Index. Over the last twelve months the price increased 183mil ISK per PLEX, a large influence on the CPI. Since most of EVE’s nullsec entities are now in summer hibernation pilots can use their sov space and fill their wallets. Some special groups go to Incursions, some wander off into WHs. But where can players park additional ISK when they don’t want to be affected by a possible bubble? Unfortunately there are not many options. 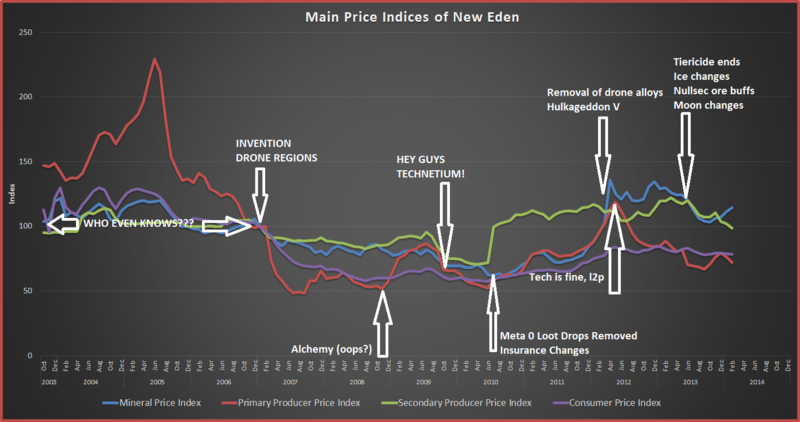 IPOs are still common in New Eden, however the list of frauds and corp thefts is long and continues to grow. With the upcoming industry changes there is also way more risk involved if you plan to invest ISK in your private industry project. 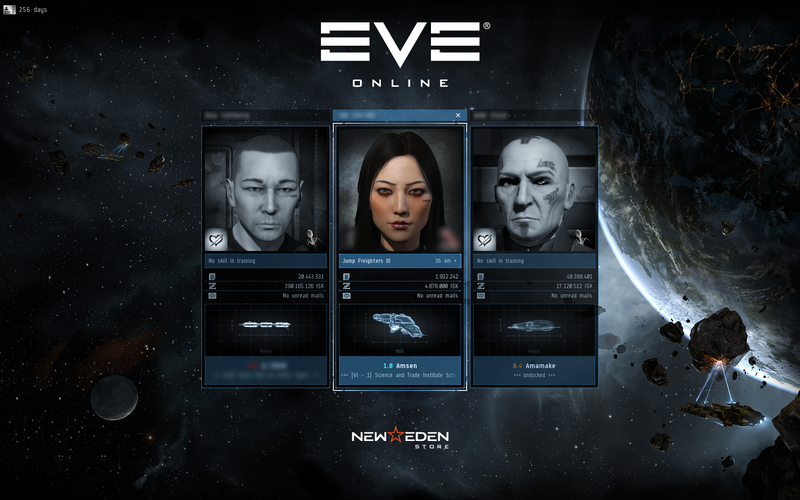 Industrialists still sell mods and ships below build cost, a habit that exists in EVE since the server started. As a result hoarding assets is just another way to burn your hard earned ISK. Skillpoints have no deflation and the value will not drop – character trading is one of the few remaining good investments. CCP gives a little help with their reoccurring Power of 2 offers. For only three PLEX you get six months of subscription time in which you can train an alt to sell on EVE’s character bazaar. During this time frame you can train perfect Covert Ops pilots, decent JF chars, interdictor alts or even supercap sitters from scratch. Popular are also Tengu pilots but keep in mind that CCP Fozzie and CCP Rise will do another round of rebalancing soon and T3s are still on their list. Pick a decent name and stay in NPC corp to increase the value of the char, avoid killrights at all costs. If possible you should also try to maximize your remaps. 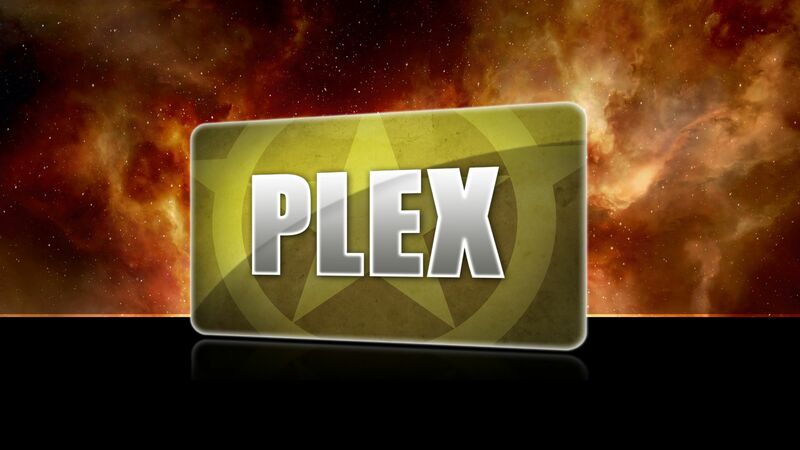 With the current PLEX prices you do a 3.7 bil ISK investment for the three starter PLEX plus the two PLEX for transferring the char. Depending on the demand and activity in EVE you can easily get a passive 2+ bil ISK profit out of it. When you have more ISK available you can also look into buying mid range skilled pilots and fill gaps in their skill set. It is good to start such projects with the summer Power of 2 offer – prices are low then and increase towards that end of your sub because of higher winter activity. Of course you have to sell before your six month subscription runs out but be warned – some chars available on the character bazaar end up there because they have been used in corp thefts. Some people may hunt you down, even though you are not that person in question, so do some background checks. As far as killboard history is concerned there is only black and white. Either it is perfect or non-existent. Anything in the middle will decrease the value of your character. Specialists are usually worth more than jack of all trades, so focus your skillplan on a specific tasks or skillsets like all core fitting to 5. The same basic rules apply as well when you use one of your regular accounts to do similar projects. Many bittervets have capital or supercapital alts on separate accounts to be more flexible in combat engagements, but those specialists are maxed out for their duties. There is no need to train them to do anything – they don’t need just to keep training. But passive income that covers account costs is always welcome.